The Horňácko region is located on the eastern edge of South Moravia, in the foothills of the White Carpathian Mountains, just below the highest mountain Javořina near the border with Slovakia. 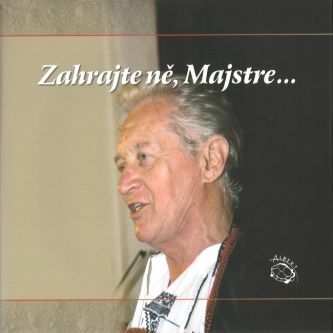 The closeness of Slovakia is reflected in the music similarity, rhythm and the language of Horňácko and Slovakian songs. Areawise it is a micro-region but the significant cultural heritage is present in Hrubá and Malá Vrbka, Kuželov, Louka, Lipov, Javorník, Suchov, Nová Lhota villages, in the settlement Vápenky and many solitary houses in Mlýny. 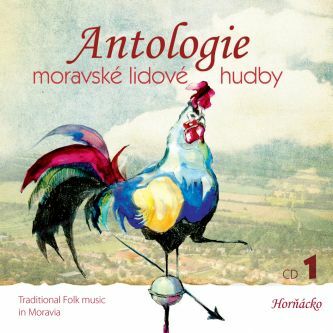 The name Horňácko was first used by the collector František Bartoš in 1889 to designate the origin of tunes in the collection National Moravian Folk Songs; local teachers then continued spreading this name. 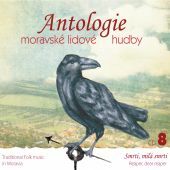 What is especially important for Horňácko is the continuous tradition of folk music-making that has been going on for hundreds of years. The oldest recorded form of folk music (mid-18th century) was “gajdování“ (playing backpipes): single “gajdoš“- piper played to the dance and accompanied himself on “gajdy“ (two-part bagpipes with continuously sounding bass tone). In the 19th century, there were other string instruments completing the piper’s playing, mostly the first and second violin (“prim” and “kontr”), later the three-string contrabass. 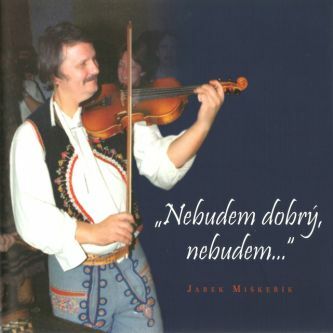 At the turn of the 19th and 20th century gajdošská muzika (piper music) is slowly dominated by the “muzika hudecká“ (fiddler music); the string instruments are in hierarchy – there is “prim”, the first post (leading vocals, violin), “kontr”, the complementing instruments (accompaniment, violin or viola), “obligát“, the second violin (melodic line, violin) and contrabass, later also clarinet. Only in the thirties the cimbalom is added (initially taken for a foreign, Hungarian element). The fiddler ensembles were completed with brass instruments and the so called “štrajch” was slowly developing. In some bands, brass instruments completely eliminated the original fiddler ensemble. 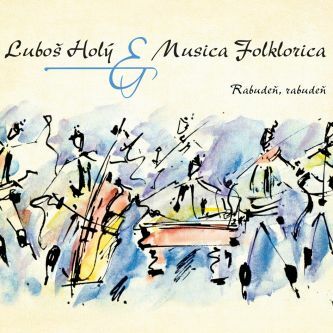 The typical musical set from Horňácko starts with singing of “táhlá“ (táhlice – grief song): the singer sings freely, the band accompanies him and a set of dance “sedlácká” melodies follows. 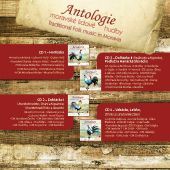 Sedlácká is a traditional dance rhythm from Horňácko which differs in lyrics and harmonious modifications from village to village; there could be up to five to six textual variations in a tune. The set closes by the final “cifra”. Even more ancient is the dance rhythm called “starosvětská”. Younger dance, spread in many variations throughout Slovácko region, is “verbuňk“ (dance of young men who were recruited into the army); slow singing start culminates with “friška”. 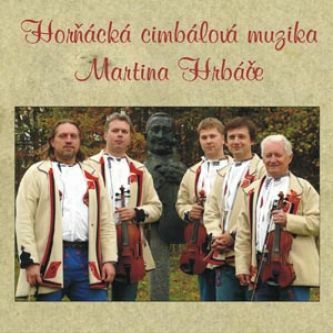 The oldest documented traditional music/band is the family band of Ňoreks from Hrubá Vrbka, an ancient peasant family living in the village since the 16th century. The band existed in the years 1863-1967 (bandmaster Jan Ňorek I.-Muzikant, together with fiddler band of Pavel Trn from Velká performed at Folk concert in Brno which was organized by Leoš Janáček in 1892; the same band cut a dash at Czechoslovakian Ethnographic Exhibition in Prague in 1895, where the fiddlers from Velička presented a wedding from Horňácko and a carnival round of “fašankář”. 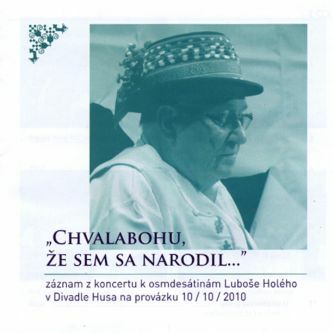 The renowned Cimbálová muzika (Dulcimer Band) was founded by the bandmaster Jožka (Jožena) Kubík (1907-1978) in Hrubá Vrbka; he was famous Roma musician. 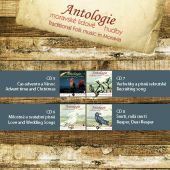 He included cimbalom in his band and angered the Ňoreks from Vrbka, because after the year 1930 he drew over couple of former pupil into his band. 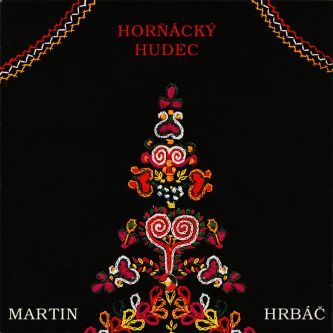 Establishing the tradition of Horňácko Festivals of folk songs and dances in Velká nad Veličkou in 1957 gave impulse to revive many half-forgotten traditions and, most importantly, it has inspired the emergence of number of ensembles and bands devoted to the cultural legacy of ancestors in all the villages of Horňácko; up till the 21st century many festive traditions, songs and dances of numerous generations of singers and musical families have survived; the Kubík, Miklošek, Miškeřík, Prachař, Ďuga, Holý, Hrbáč, Hudeček, Kománek, Slovák, Zeman, Šácha, Okénka, Pešek, Sup, Kohút, Prášek, Pšurný, Zálešák families – but also the Mička, Galečka, Valíček, Trachtulec and Minks families.